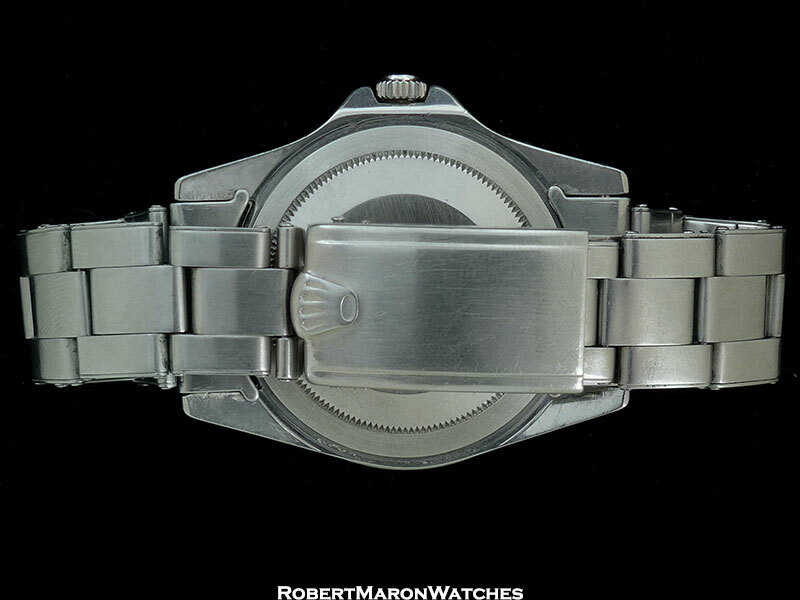 The vintage force is strong with this one! 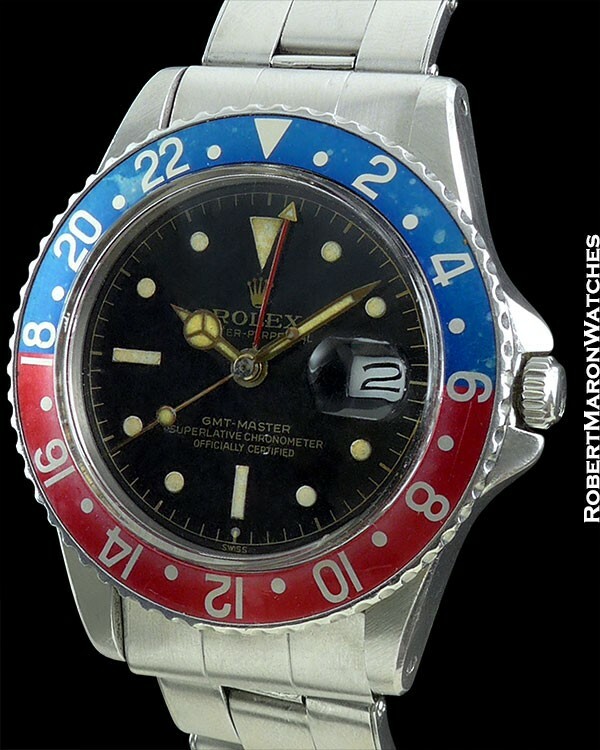 Rolex GMT Master reference 1675 with Gilt Gloss dial in great condition. It has the perfect vintage vibe – worn enough to be broken in, yet retaining its original parts in unmolested condition and with an abundance of charm! 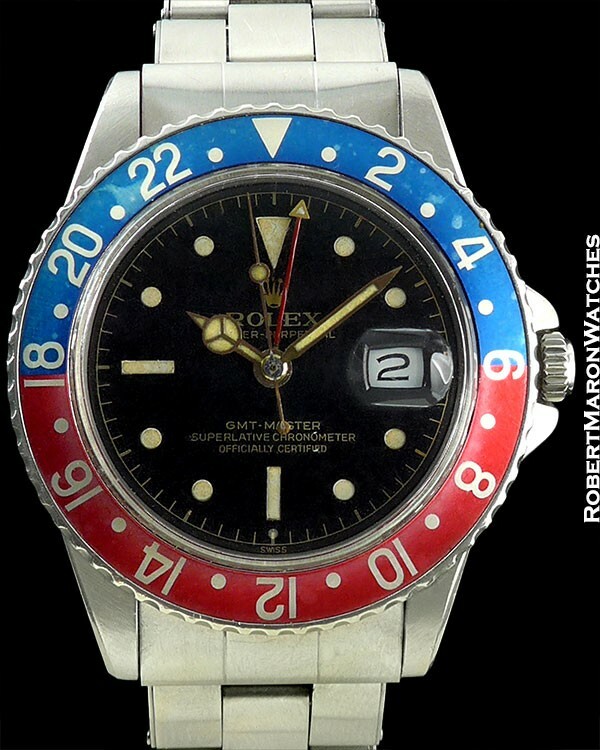 Original stainless steel case with plastic crystal, original bezel and slightly faded “Pepsi” blue and red bezel, which turns with just the right amount of resistance, and original screw down crown operating perfectly. Black gilt gloss dial with original hands. Date window at 3 o’clock. Beautiful!